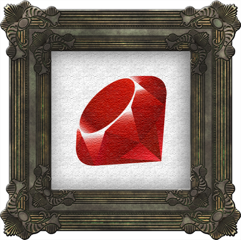 A ruby gem to deal with common artist and artwork attribute issues. The Artworker gem provides many of the basic functions needed when dealing with a collection of different fine artwork and artists. The gem does this by providing access to universally needed attributes (based on museum standards). Install the gems from rubygems.org. You will also want to make sure that your database has the necessary. Title Column => Either string or text. Date Column => Either string or text. Height Column => Decimal, that defaults to 0. Width Column => Decimal, that defaults to 0. Depth Column => Decimal, that defaults to 0. Use Fractions Column => Boolean, default can be set to true if you want to use fractions instead of decimals. Use Metric System Column => Boolean, default can be set to true if you want to use centimeters instead of inches. You can also assign other dimension types like paper, or framed, or base. Simply add those dimensions as decimal columns, making sure they default to 0. First Name Column => Either string or text. Last Name Column => Either string or text. Birth Date Column => Either integer, string or text. Death Date Column => Either integer, string or text. Nationlity Column => Either string or text. Why did you make this gem? There’s only so many times that you can write the same code in project to project before you get really sick of it. We’ve made enough sites for organizations in the art world to know this will alleviate our need for repetitious code. What are the default options? The fractions aren’t formatting properly in an input field? Yes, this is as Rails intended. You can override this by explicitly declaring the value of the input field. Why doesn’t this gem also handle images? Everybody has their own methods for working with images, so it doesn’t seem too advantageous at this point to include that functionality. With that being said, it may get added in the future. Glad you asked! The testing environment is rspec, and the tests can be found in the spec directory. If you find an issue or bug, please let us know. You can file your issue on the project’s issue tracker at github. We encourage you to fork this project and make any changes you would like! Please feel free to submit a pull request if you make any cool additions.